"Thank you for the valet. Excellent job. Really pleased. Will now book the Mitsubishi 3000 GT in for valet. Also will book the Range Rover back in when the bad weathrr has subsided but don't worry it won't be so 'doggy' next time. Thank you once again." "Matthew valets my Bentley and Range Rover every month and they never miss a thing , giving me that new car feeling every time, they are a valuable part of my life and business." Warners retail, Tewkesbury, Gloucestershire, GL20. "Autovaletdirect worked very hard to ensure my new motorhome was protected with Jewelultra's Caravanbrite. It looks spotless and not only that its covered by a lifetime guarantee." "Great Job on the exterior of my car. I can’t believe how well it came up. Very pleased." Marsh Barton, Exeter, EX2 8FD. "I am writing to express how happy I am with the service provided by the Taunton branch of your company. They were polite, prompt and my car looked better than it did new! We are having them back to look after other cars in the business and would certainly recommend them to anyone looking for a great valet. I would appreciate them being recognised for the fantastic job they did. " "After being quoted more than double from the main dealer, you arrived on time and our Motorhome is now Looking better than when we first bought it." Mr Alan Jackson, Earls Croome, Worcestershire, WR. 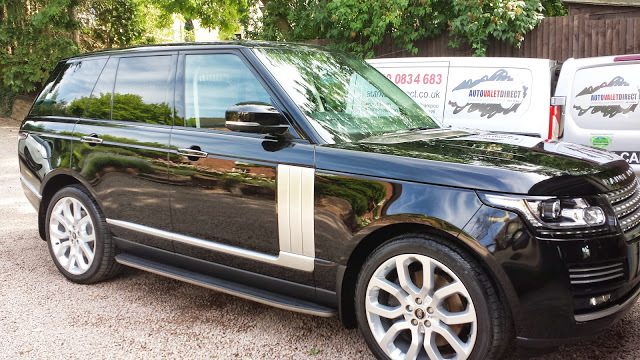 "My car is THE cleanest thanks to Autovaletdirect-Warrington." Emma Moore, Stourbridge, West Midlands, DY. A prompt and professional service, I will be using you again for my business. Can't believe my car could look like new again. "These guys do a fantastic job, no I don't work for them. They are absolutely meticulous in making sure your vehicle "in my case Motorhome" is absolutely spotlessly clean.I also had the paint protection which I also recommend, Guaranteed for life can’t be bad." Rob Hogg, Bridgwater, Somerset, TA5 1EJ. Ben Frounks, Taunton, Somerset’ TA1 1PB.